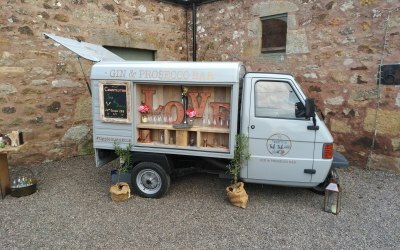 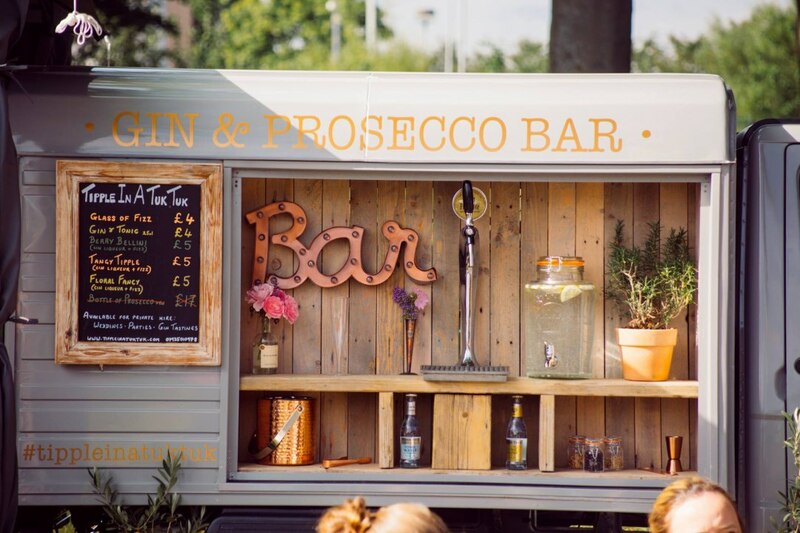 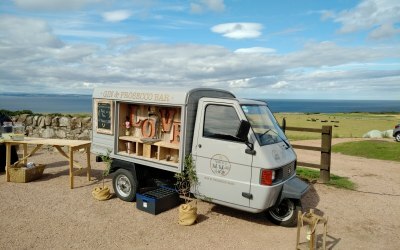 A quirky Prosecco & Gin bar with bubbly on tap served out of a 3 wheeled Piaggio TukTuk. 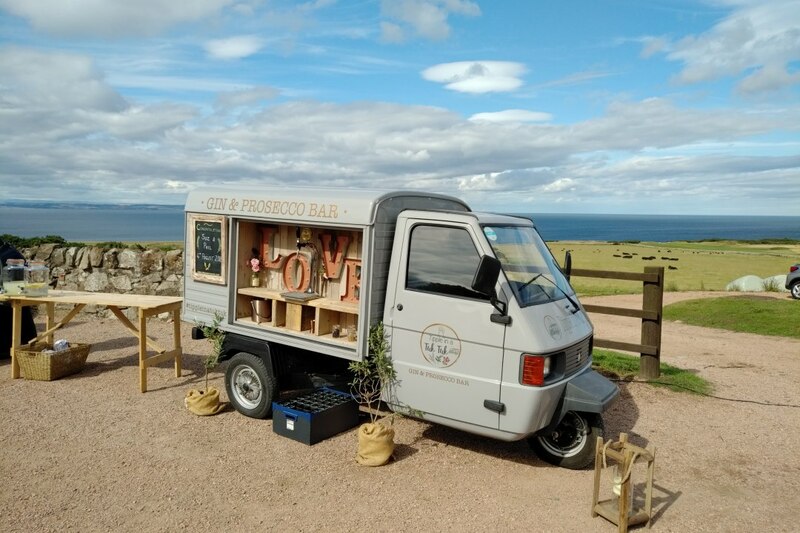 Based in Angus, Scotland covering Fife, Perthshire & parts of Aberdeenshire & Edinburgh. 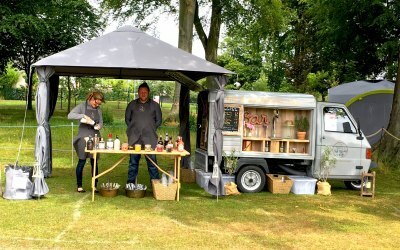 Tipple in a TukTuk offers a pop up mobile bar service with Prosecco, gin & Frizzante sparkling wine on tap served out the side of our converted tuk tuk called Juniper. 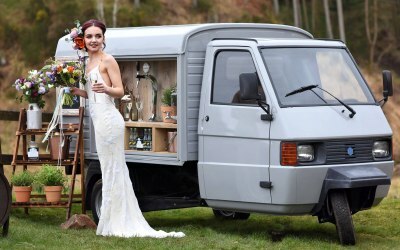 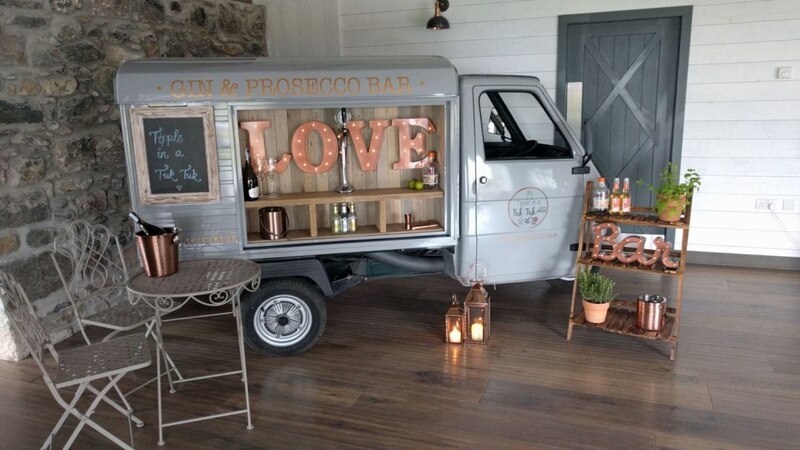 The Prosecco van is a 3 wheeled Piaggio Ape and it's compact size means it fits into lots of event spaces, making it perfect for weddings & private parties as well as large festivals & events. 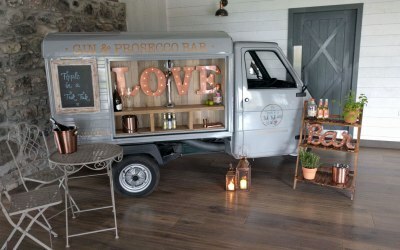 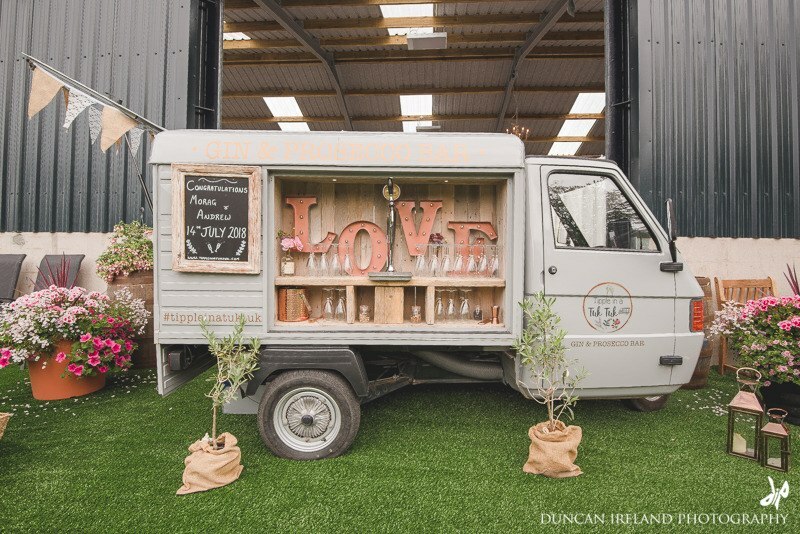 A unique reception option offering drinks, entertainment & a great focal point, all delivered in a dinky quirky 3 wheeled package. 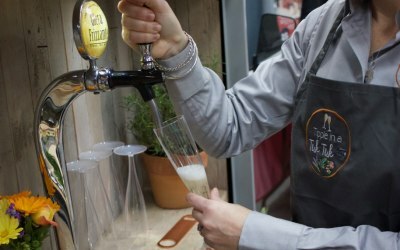 1 keg produces 160 glasses x 125ml flutes of flash cooled Glera Frizzante sparkling wine. 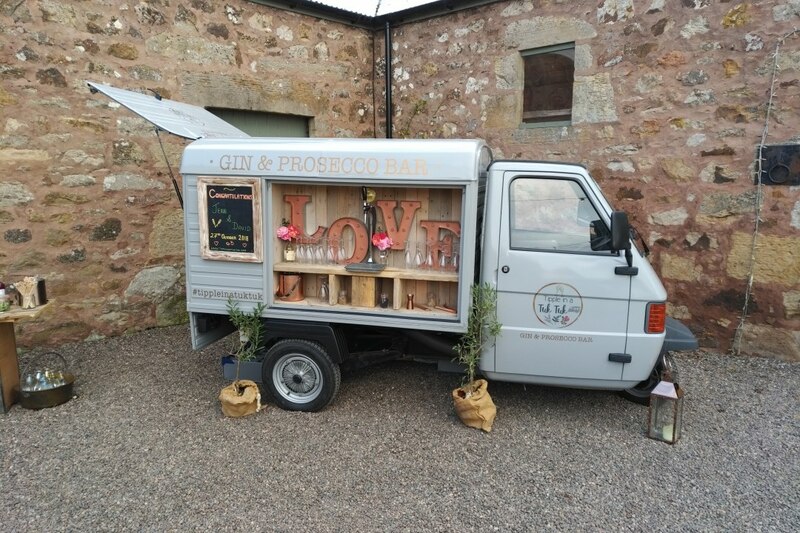 We work closely with many Scottish gin companies and are able to tailor our event options to your needs. 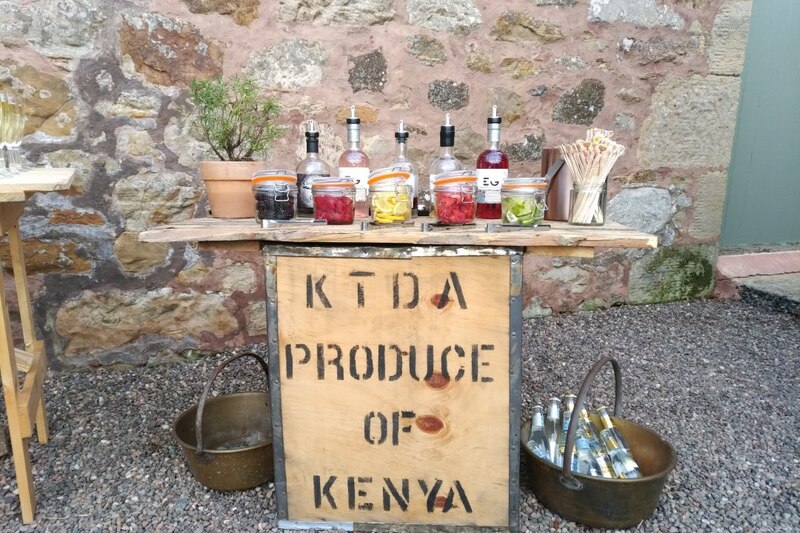 We offer a 'Fancy up your fizz' option which includes fresh seasonal fruit alongside 4 Scottish liqueurs to add to your glass of bubbles. 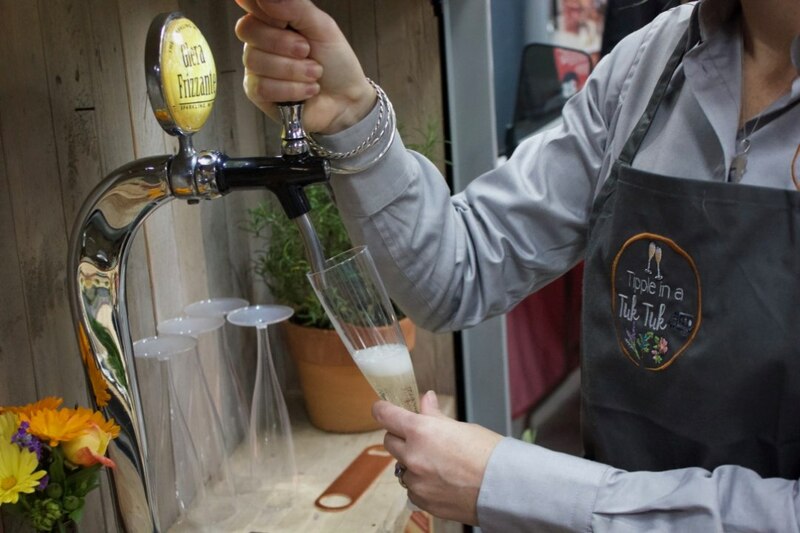 Full setup with staff, decor & glassware as well as a DIY soft drink station is all included in our service. We also do private gin tasting sessions for a minimum of 10 people, where we offer insight into the tastes and smells of some of the wonderful & ever growing collection of Scottish gins that there are to choose from. 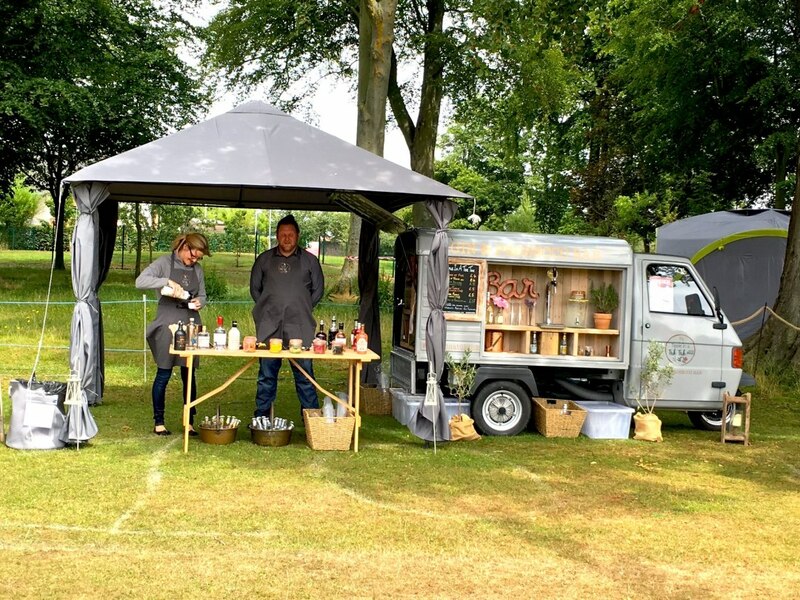 We help you to learn more about their key botanicals, perfect serves and of course suggest others that you will love based on your preferences. 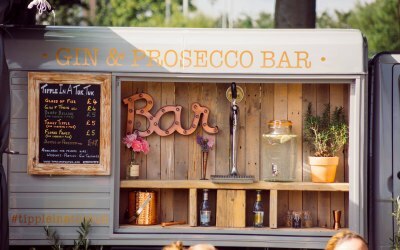 We provide a unique drink reception for both private & corporate events as well as at larger festivals & shows. 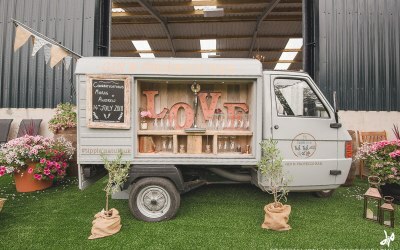 We have experience of weddings, birthday parties, corporate functions and food & drink festivals. 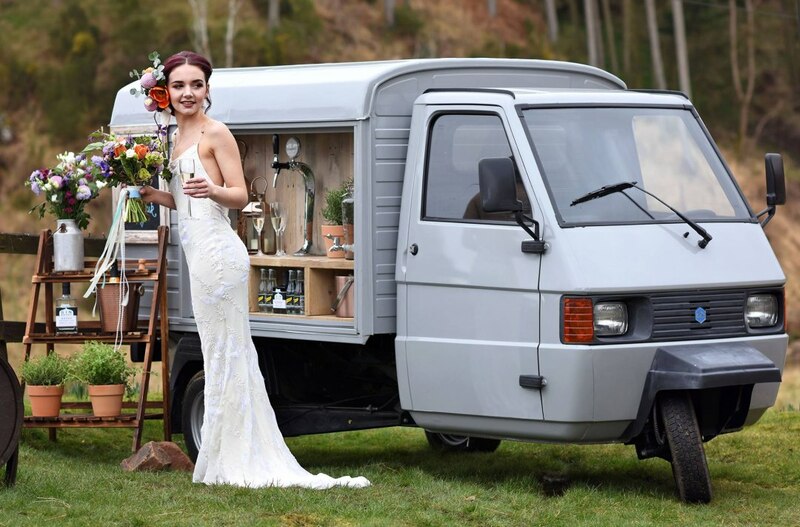 Get quotes from Tipple in a TukTuk and others within hours.